Shortly after communist-mentored Barack Obama was elected to the White House in 2008, I asked a brother at a family gathering, "Who's going to be president of the United States in 20 years?" Without hesitating, he said, "Barack Obama." More informed than most people I'd asked, he instantly got the drift of my question. As I was thinking through the implications of the de facto communist coup that precipitated the question, however, I was struck with a realization that gave me some degree of hope in the face of our nation's heightened peril. Although no major communist strongman in the world's history had ever walked away from ultimate power on his own, I noted that the USA was unlike any other country in its heritage of constitutional self-governance — and it would be interesting to see how well the charismatic, deceptive Marxist just elected would do in forcing his promised "transformation" (writ: destruction) of our country down the throats of unsuspecting Americans. I foresaw an unprecedented cultural clash that in time could well disprove Hegel and Marx's naive vision of "inevitable" history, with the U.S. refusing to ingest the Machiavellian fare of Mr. Obama and his minions and instead convulsively regurgitating it up. The 2014 midterms resoundingly confirmed my suspicions. After six tumultuous years of lawless deception and anti-American deceit, the doctrinaire community organizer was repudiated in shocking fashion by the American public. No mas, as Sarah Palin would say. Which brings us to the crucial question: What do the American people want to do with this opportunity? 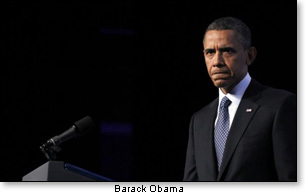 The midterm election unquestionably showed that most Americans want Obama stopped, not appeased. Yet Republican congressional leaders like presumptive Senate Majority Leader Mitch McConnell and House Speaker John Boehner appear not to have gotten the message. They think the election was about them — not about Barack Obama. Both have indicated they plan to "work with" Obama to "govern" jointly. This, despite the president's defiant words that he will not change course nor back down from his radical agenda. The only way Republicans will govern jointly in the face of such intransigence is to willfully capitulate to the president's demands. That's not what voters elected them to do in sweeping Obama's collaborators out of office. They want the GOP to stand firm and put an end to Obama's inroads — not cooperate with him in furthering his anti-American purposes. Somebody needs to wake up the dreamers in the GOP leadership. Have them read Washington Times columnist Charles Hurt's recent article "America faces most dangerous two years in 150 years." The fact is, while voters — by the grace of God — gave our country a historic reprieve from deliberate ruin at the hands of the tyrant in the White House, if congressional leaders ignore the will of the people and instead push the GOP's presidential aspirations in 2016 ahead of corralling Obama, the momentous election just passed will be wasted — and not only will Republicans face a backlash in 2016, and with it the loss of the House, the Senate, and any presidential aspirations they may hold, but our country's lawless transformation could soon afterward be all but complete and unstoppable. Future generations will look back on the current GOP leadership with contempt — naming names. This is it, folks. This is likely our last providential opportunity to stop the Marxist transformation that Obama and his anti-American cohorts seek to force, cleverly and deceitfully, upon our nation. "Impeach me if you can"
For months, Obama has dared Republicans to hold him to account for his open disdain for the Constitution by impeaching him. Understandably, Republicans have been reluctant to take the president up on his dare as long as the Democrats controlled the Senate and could easily block conviction and removal. Republicans are thus without excuse if they don't take the current opportunity to put a timely end to Obama's dangerous, repeated dereliction of duty and abuse of authority, before he does our nation further harm. How soon before Congress should begin impeachment hearings? Regarding [the] timing of [impeachment], many who support impeaching Obama are waiting to see if the GOP takes control of the Senate Nov. 4 before they weigh in openly in support of impeachment. This way of looking at the matter is consistent with what Ambassador Alan Keyes has written: we must elect an "impeachment Congress" this fall so we will have a better chance of removing Obama than we have right now. This practical consideration suggests at least two things: (1) the number of [GOP House and Senate members] who support impeaching Obama is likely much higher than current estimates, and (2) those running for election to the House or Senate this season are being counted on by the conservative base of the GOP to honor their sworn oath to defend the Constitution against the likes of Obama if they are elected. No matter the exact timing, it should come reasonably soon. The longer Congress waits, the more mischief Obama will predictably do, placing our nation's security, solvency, and well-being at even greater risk. The president's "executive amnesty" (which, now imposed, will be impossible to undo), his reckless endangering of our nation through opening wide our borders to all comers, his infamous trading of dangerous Taliban commanders for a U.S. deserter in Afghanistan, his obvious scheme to allow Iran to have the bomb, his treasonous arming of Jihadists in the Middle East (including ISIS), his treacherous ties to terrorism sponsor the Muslim Brotherhood, his deceitful cover-up of Benghazi, his illegal Fast and Furious gunrunning scheme — these and other unAmerican or derelict actions make impeachment an increasingly urgent imperative. No longer can the GOP simply rattle sabers and issue empty words while failing to invoke the Constitution's sole remedy to stopping the dangerous, lawless behavior we are witnessing almost daily in Mr. Obama, that being impeachment and removal. Before saying another word, let me take a moment to debunk a widely circulated media myth regarding impeachment. Last July, CNN ran a poll that falsely claimed two-thirds of Americans oppose impeachment. The claim was based on demonstrably flawed data meant purposely (it would appear) to defuse the growing grassroots impeachment drive. Given the favorable response of both parties and the media to the bogus poll, the poll seemed to work. It had the effect of shutting down nearly all serious talk of impeachment from that point on, even in the conservative media. Obviously, if two-thirds of the country are opposed to impeaching Obama, there is little point in pursuing it. Just days before the CNN poll was conducted, however, the Huffington Post released its own impeachment poll — a more reliable measurement that showed an overwhelming majority of Americans DO NOT OPPOSE IMPEACHMENT. According to the HuffPost poll, 44 percent oppose impeachment, 33 percent support it, and 21 are unopposed — for a total of 56 percent either supporting impeachment or having no firm opposition to it. In any case, there's no reliable data showing that two-thirds of the public oppose impeaching the lawless inhabitant of the White House, and there never was. The clever CNN poll was merely an attempt to counter the HuffPost poll with false methods and false data, and it arrived at its exaggerated number by counting those who had no strong opinion on impeachment as firmly opposing it. If you take the 44 percent HuffPost found to be opposed to impeachment and add the 21 percent it found unopposed ("not sure"), you get exactly the 65 percent CNN reported as firmly "opposed." Unfortunately, even without a false poll to mislead them, some in the GOP leadership appear not to perceive the dangerously subversive tenure of team Obama. Back in April, as impeachment talk was growing nationally, I took the occasion at a Western Republican Leadership Conference to hand-deliver impeachment packets to several GOP leaders who attended. Among those I gave packets to were Sen. Ted Cruz, Sen. Mike Lee, GOP National Chairman Reince Priebus, and a handful of congressional candidates. The packet included my March article "Do your part to impeach and remove Obama" and a few other items, including a column by Alan Keyes, a list of impeachable offenses by Obama, and a Pledge To Impeach that some of us at RenewAmerica and Dr. Keyes' Conservative Majority PAC had drawn up. As I gave these out, I had positive conversations with these leaders or their staffers, and I felt my efforts were reasonably productive. I had an especially productive discussion with the campaign manager of a well-known congressional candidate. I then approached our state's moderately conservative Republican governor, a longtime friend, and gave him a packet to look over and think about, expecting he'd take an interest. I was surprised at his hostile reaction: "What would you impeach him for." Mind you, this was in the earlier stages of the growing movement to impeach Obama — before Obama's lawlessness had become widely acknowledged — and from a chief executive who was preoccupied with governing his state. To bring him up to speed, I named off Benghazi, Fast and Furious, and few other impeachable offenses that immediately came to mind, and was met with resistance similar to that expressed by Republican House Judiciary Chairman Bob Goodlatte, who told the press Obama "has not committed the kind of criminal acts that call for [impeachment]." With his nervous bodyguard hovering close, I did my best to educate the governor, and left. Several weeks later, when Obama's treasonable Bergdahl swap was announced to public outrage, I wondered if my friend the governor was paying enough attention to know that his question had been definitively answered. That was six months ago, as the impeachment movement was just gaining steam. At this late point in America's crisis — with Obama's unconstitutional lawlessness unquestionably surpassing anything ever seen in our nation's politics — the growing sense among conservatives is that Obama definitely deserves impeachment. In its July Poll, HuffPost found that fully 68 percent of Republicans favor impeachment, with 90 percent saying Obama had exceeded the limits of his constitutional authority. These numbers — undoubtedly higher now — indicate the GOP leadership, which generally opposes impeachment, is out of step with its base on so vital an issue as stopping the president's unlawful usurpation of power. With Obama increasingly daring to be impeached, and a majority of Americans either supporting impeachment or being open to it, what our nation needs from the new GOP-led Congress is leadership — not "cooperation" with Obama's disastrous, transformative agenda. Since current GOP leaders can't be relied on to do what's constitutionally required to stop the president, new members of Congress — from both chambers — need to take the lead and boldly call for impeachment hearings. They can do so even before they're sworn in, to rally conservatives in the lead-up to impeachment. Members of the Senate who weren't up for re-election likewise need to proclaim the same message with clarity. For the sake of their own posterity, and out of respect for the electorate who put them in office, Republican legislators need to come together and get ready for the only real option left if America is to survive in liberty: impeachment hearings that are timely and competently conducted in the glare of public scrutiny. All that's required for this to happen is for enough Republicans in Congress who have not been misled or intimidated by the media, the Democrats, or their own leadership about Obama's treasonable actions — or who are not in denial — to speak out plainly and forcefully in favor of impeachment and removal NOW. For starters, Senators Ted Cruz, Mike Lee, Jeff Sessions, James Inhofe, Pat Roberts, and their conservative peers should immediately stand up and — in accordance with their sworn duty — demand impeachment of Barack Obama and his innermost co-conspirators, including Vice President Biden. Likewise, Representatives Trey Gowdy, Steve King, Steve Scalise, Walter Jones, Louie Gohmert, Jim Bridenstine, Dana Rohrabacher, and other House conservatives need to do the same, undeterred by self-serving members in leadership. Newly-elected members of both houses — including Joni Ernst, Tom Cotton, David Perdue, Ben Sasse, Thom Tillis, Cory Gardner, Dan Sullivan, Mike Rounds, James Lankford, and Shelley Moore Capito in the Senate; and Dave Brat, Mia Love, John Ratcliffe, Will Hurd, Brian Babin, Alex Mooney, Barry Loudermilk, and other new conservatives in the House — also need to show voters they're serious about holding Obama accountable for his flagrantly unlawful, dangerous actions. 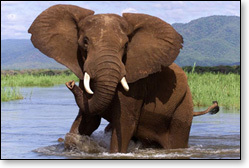 ...and others who wield influence among Republican leaders and the conservative grassroots. Again...all that's needed for impeachment hearings to get under way — and thereby expose Obama's treasonable deeds and anti-American designs in wide-open House investigations in front of the entire country, with the prospect of convicting him in the Senate — is for enough respected conservative voices to insist on it, until Boehner, McConnell, and others in the GOP leadership are forced to act. Where are the professing leaders who care as much about their country as their career, acceptance, or security — or better yet, who "more than self their country love"? The public needs to hear from those who still have the decency, and courage, to take on the most lawless president in U.S. history and hold him to account — along with errant GOP officials. Our country's future, and that of the rest of the world, hangs tenuously in the balance. Let's proceed. 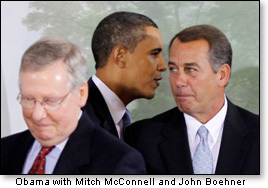 The weakest link in the above scenario is Speaker John Boehner, slated to be the president if Obama and Biden are removed. The new House of Representatives needs to give SERIOUS thought to replacing Boehner with someone capable of standing up to the administration's deceitful, fatal agenda. 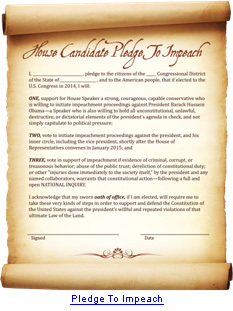 For the sake of our nation's indentured posterity, as well our republic's very continuance in decent liberty, newly elected — as well as long-time — members of the House of Representatives must ensure that impeachment and removal are indeed possible, by choosing someone more attuned to the will of the people for their leader in the House, someone who might also become our nation's leader. Under the Constitution, the Speaker does not even need to be a member of the House, so Republicans have wide latitude in choosing someone to lead the country, provisionally, during these difficult times until the 2016 election, when voters themselves can again choose a president. Exceptional times call for exceptional measures, as well as exceptional wisdom. No matter who is chosen to replace Speaker Boehner—from within the House or from without—it’s imperative that House members take their sworn duty to preserve the Constitution seriously enough to act boldly and decisively in choosing a Speaker who could possibly be the next president. "If the president can fail to enforce immigration laws, can the president likewise fail to enforce election laws?" Gowdy asked of Simon Lazarus, senior counsel to the Constitutional Accountability Center, who was giving testimony. "If you can dispense with immigration laws or marijuana laws or mandatory minimums, can you also dispense with election laws?" Gowdy asked Lazarus. For his part, Lazarus said that Obama couldn't do such a thing. But Gowdy pressed on and asked the logical question, "Why not?" "Because we live in a government of laws, and the president is bound to obey them and apply them," Lazarus replied. But Gowdy wasn't to be so easily pushed off point. "Well he's not applying the ACA, and he's not applying immigration laws, and he's not applying marijuana laws, and he's not applying mandatory minimums. What's the difference with election laws?" Gowdy asked pointedly. Of course, all Obama's supporters blithely assure us that Obama wouldn't be so anti-American, anti-law, and anti-Constitution as to ignore his lawful duties in the way Gowdy suggests. But the fact is he's already done it dozens of times before. So, why not again? Prudence requires that we give Obama no further opportunity to weaken or destroy the Constitution, including the prospect of imposing, with his phone and pen, a change in term limits — or otherwise unilaterally altering the rules of governance. The best way to ensure he can't do so is to remove him post-haste. Note: Permission is granted to use this article, all or in part, with appropriate attribution, and to disseminate it widely. Please share it with anyone who may be interested.